Take a facts-based journey through the cosmos with hosts Fraser Cain & Pamela Gay . Learn not just what we know but how we know it. Watch live on YouTube . Join +Fraser Cain and +Pamela Gay for a live episode of Astronomy Cast. We'll record our 30-minute show, and then stay tuned for them to answer questions! Even though they might be scattered around our planet, astronomers have way to come together to work out issues that face their entire field of study. It's called the International Astronomical Union, and they're the ones who work out the new names for stars, and sometimes de-planet beloved Kuiper Belt Objects. Want to support CosmoQuest? Here are specific ways you can help: * Donate and challenge your friends to donate too! https://tiltify.com/+cosmoquest-supporters/hangoutathon2018 * Donate! (Streamlabs link) https://streamlabs.com/cosmoquestx * Buy stuff from our Redbubble https://www.redbubble.com/people/cosmoquestx * Help us find sponsors by sharing our program and fundraising efforts through your networks * Become a Patreon of Astronomy Cast https://www.patreon.com/astronomycast * Sponsor 365 Days of Astronomy http://bit.ly/sponsor365DoA * A combination of the above! Join +Fraser Cain and +Pamela Gay for a live episode of Astronomy Cast. We'll record our 30-minute show, and then stay tuned for them to answer questions! We learned how to figure out the ages of objects in the Solar System, now we push out into the deeper Universe. What about stars, galaxies, and even the Universe itself? How old is it? Want to support CosmoQuest? Here are specific ways you can help: * Donate and challenge your friends to donate too! https://tiltify.com/+cosmoquest-supporters/hangoutathon2018 * Donate! (Streamlabs link) https://streamlabs.com/cosmoquestx * Buy stuff from our Redbubble https://www.redbubble.com/people/cosmoquestx * Help us find sponsors by sharing our program and fundraising efforts through your networks * Become a Patreon of Astronomy Cast https://www.patreon.com/astronomycast * Sponsor 365 Days of Astronomy http://bit.ly/sponsor365DoA * A combination of the above! Join +Fraser Cain and +Pamela Gay for a live episode of Astronomy Cast. We'll record our 30-minute show, and then stay tuned for them to answer questions! Today we push our aging curiosity out into the Solar System to ask that simple question: how old is it and how do we know? What techniques do astronomers use to age various objects and regions in the Solar System? Want to support CosmoQuest? Here are specific ways you can help: * Donate and challenge your friends to donate too! https://tiltify.com/+cosmoquest-supporters/hangoutathon2018 * Donate! (Streamlabs link) https://streamlabs.com/cosmoquestx * Buy stuff from our Redbubble https://www.redbubble.com/people/cosmoquestx * Help us find sponsors by sharing our program and fundraising efforts through your networks * Become a Patreon of Astronomy Cast https://www.patreon.com/astronomycast * Sponsor 365 Days of Astronomy http://bit.ly/sponsor365DoA * A combination of the above! Join +Fraser Cain and +Pamela Gay for a live episode of Astronomy Cast. We'll record our 30-minute show, and then stay tuned for them to answer questions! People always want to know how old everything is. And more specifically, they want to know how we know how old everything is. Well, here at Astronomy Cast, it's our job to tell you now only what we know, but how we know what we know. And today we'll begin a series on how we know how old everything is. Want to support CosmoQuest? Here are specific ways you can help: * Donate and challenge your friends to donate too! https://tiltify.com/+cosmoquest-supporters/hangoutathon2018 * Donate! (Streamlabs link) https://streamlabs.com/cosmoquestx * Buy stuff from our Redbubble https://www.redbubble.com/people/cosmoquestx * Help us find sponsors by sharing our program and fundraising efforts through your networks * Become a Patreon of Astronomy Cast https://www.patreon.com/astronomycast * Sponsor 365 Days of Astronomy http://bit.ly/sponsor365DoA * A combination of the above! Join +Fraser Cain and +Pamela Gay for a live episode of Astronomy Cast. We'll record our 30-minute show, and then stay tuned for them to answer questions! Welcome to this double-feature on Transients! Astronomers have found that sometimes the Universe changes. Things move, things explode, things get brighter or dimmer. In fact, knowing this has helped astronomers discover some very important aspects of the Universe. Today we begin a two part series on Transients and their role in astronomy. Want to support CosmoQuest? Here are specific ways you can help: * Donate and challenge your friends to donate too! https://tiltify.com/+cosmoquest-supporters/hangoutathon2018 * Donate! (Streamlabs link) https://streamlabs.com/cosmoquestx * Buy stuff from our Redbubble https://www.redbubble.com/people/cosmoquestx * Help us find sponsors by sharing our program and fundraising efforts through your networks * Become a Patreon of Astronomy Cast https://www.patreon.com/astronomycast * Sponsor 365 Days of Astronomy http://bit.ly/sponsor365DoA * A combination of the above! Join +Fraser Cain and +Pamela Gay for a live episode of Astronomy Cast. We'll record our 30-minute show, and then stay tuned for them to answer questions! We always say the Universe is trying to kill us. But there was this one time, when the Universe used our own fear of nuclear attack against us, nearly setting off a global nuclear war. Nice try Universe, we're on to you now. Want to support CosmoQuest? Here are specific ways you can help: * Donate and challenge your friends to donate too! https://tiltify.com/+cosmoquest-supporters/hangoutathon2018 * Donate! (Streamlabs link) https://streamlabs.com/cosmoquestx * Buy stuff from our Redbubble https://www.redbubble.com/people/cosmoquestx * Help us find sponsors by sharing our program and fundraising efforts through your networks * Become a Patreon of Astronomy Cast https://www.patreon.com/astronomycast * Sponsor 365 Days of Astronomy http://bit.ly/sponsor365DoA * A combination of the above! Join +Fraser Cain and +Pamela Gay for a live episode of Astronomy Cast. We'll record our 30-minute show, and then stay tuned for them to answer questions! One of the most influential astronomers in the 20th Century was Fritz Zwicky. 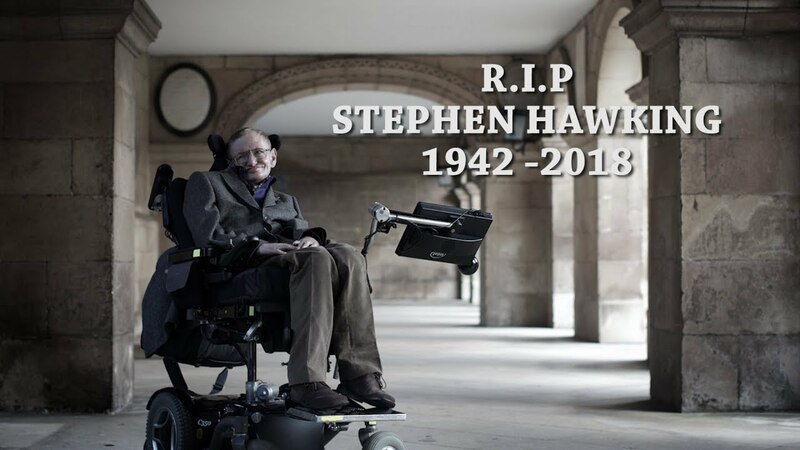 He had his hand in the discovery of dark matter, gravitational lensing, supernovae and neutron stars. And he also worked on a few more controversial ideas like, uh, tired light. Let's learn more about Zwicky. Want to support CosmoQuest? Here are specific ways you can help: * Donate and challenge your friends to donate too! https://tiltify.com/+cosmoquest-supporters/hangoutathon2018 * Donate! 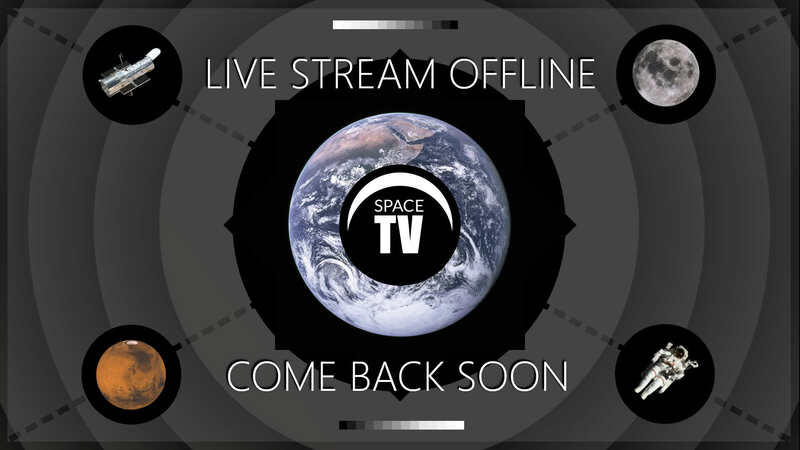 (Streamlabs link) https://streamlabs.com/cosmoquestx * Buy stuff from our Redbubble https://www.redbubble.com/people/cosmoquestx * Help us find sponsors by sharing our program and fundraising efforts through your networks * Become a Patreon of Astronomy Cast https://www.patreon.com/astronomycast * Sponsor 365 Days of Astronomy http://bit.ly/sponsor365DoA * A combination of the above! Join +Fraser Cain and +Pamela Gay for a live episode of Astronomy Cast. We'll record our 30-minute show, and then stay tuned for them to answer questions! It's cold right now. Okay, fine, here on Vancouver Island, it's actually pretty warm. But for the rest of Canada and big parts of the US, it's terrifyingly cold. Colder than Mars or the North Pole cold. This is all thanks to the break up of the polar vortex. What are polar vertices, how do they form, and where else to we find them in the Solar System? Want to support CosmoQuest? Here are specific ways you can help: * Donate and challenge your friends to donate too! https://tiltify.com/+cosmoquest-supporters/hangoutathon2018 * Donate! (Streamlabs link) https://streamlabs.com/cosmoquestx * Buy stuff from our Redbubble https://www.redbubble.com/people/cosmoquestx * Help us find sponsors by sharing our program and fundraising efforts through your networks * Become a Patreon of Astronomy Cast https://www.patreon.com/astronomycast * Sponsor 365 Days of Astronomy http://bit.ly/sponsor365DoA * A combination of the above! Space is a hostile environment in so many ways. But one of its worst features is the various kinds of radiation you can find. When astronauts go back beyond the protective environment of the Earth's magnetosphere, what are the various kinds of radiation they'll encounter. And is there anything we'll be able to do about it? Join +Fraser Cain and +Pamela Gay for a live episode of Astronomy Cast. We'll record our 30-minute show, and then stay tuned for them to answer questions! Want to support CosmoQuest? Here are specific ways you can help: * Donate and challenge your friends to donate too! https://tiltify.com/+cosmoquest-supporters/hangoutathon2018 * Donate! (Streamlabs link) https://streamlabs.com/cosmoquestx * Buy stuff from our Redbubble https://www.redbubble.com/people/cosmoquestx * Help us find sponsors by sharing our program and fundraising efforts through your networks * Become a Patreon of Astronomy Cast https://www.patreon.com/astronomycast * Sponsor 365 Days of Astronomy http://bit.ly/sponsor365DoA * A combination of the above! Join +Fraser Cain and +Pamela Gay for a live episode of Astronomy Cast. We'll record our 30-minute show, and then stay tuned for them to answer questions! As we send rovers and landers to other worlds, we have to think about the tiny microbial astronauts we're sending along with us. In fact, NASA is so concerned about infecting other worlds that it has established the planetary protection protocols. Just to be safe. Want to support CosmoQuest? Here are specific ways you can help: * Donate and challenge your friends to donate too! https://tiltify.com/+cosmoquest-supporters/hangoutathon2018 * Donate! (Streamlabs link) https://streamlabs.com/cosmoquestx * Buy stuff from our Redbubble https://www.redbubble.com/people/cosmoquestx * Help us find sponsors by sharing our program and fundraising efforts through your networks * Become a Patreon of Astronomy Cast https://www.patreon.com/astronomycast * Sponsor 365 Days of Astronomy http://bit.ly/sponsor365DoA * A combination of the above! Join +Fraser Cain and +Pamela Gay for a live episode of Astronomy Cast. We'll record our 30-minute show, and then stay tuned for them to answer questions! We did it, we made it through 2018 in space. Now let's look forward to the incredible launches, discoveries and astronomical events happening in 2019. Want to support CosmoQuest? Here are specific ways you can help: * Donate and challenge your friends to donate too! https://tiltify.com/+cosmoquest-supporters/hangoutathon2018 * Donate! (Streamlabs link) https://streamlabs.com/cosmoquestx * Buy stuff from our Redbubble https://www.redbubble.com/people/cosmoquestx * Help us find sponsors by sharing our program and fundraising efforts through your networks * Become a Patreon of Astronomy Cast https://www.patreon.com/astronomycast * Sponsor 365 Days of Astronomy http://bit.ly/sponsor365DoA * A combination of the above! Join +Fraser Cain and +Pamela Gay for a live episode of Astronomy Cast. We'll record our 30-minute show, and then stay tuned for them to answer questions! 2018 was an incredible year in space news. Rockets launched, landers landed, spacecraft were born and died. We learned tremendous new things about Universe around us, and today we're here to look back fondly over the last 12 months to review the year in space that was. Want to support CosmoQuest? Here are specific ways you can help: * Donate and challenge your friends to donate too! https://tiltify.com/+cosmoquest-supporters/hangoutathon2018 * Donate! (Streamlabs link) https://streamlabs.com/cosmoquestx * Buy stuff from our Redbubble https://www.redbubble.com/people/cosmoquestx * Volunteer for our Hangout-a-thon either to promote, provide a giveaway, or to come on as a guest https://goo.gl/forms/XSm1yi0PKOM166m12 * Help us find sponsors by sharing our program and fundraising efforts through your networks * Become a Patreon of Astronomy Cast https://www.patreon.com/astronomycast * Sponsor 365 Days of Astronomy http://bit.ly/sponsor365DoA * A combination of the above! Join +Fraser Cain and +Pamela Gay for a live episode of Astronomy Cast. We'll record our 30-minute show, and then stay tuned for them to answer questions! The technology of 3D printing is taking off. From tiny home-based 3D printers to larger manufacturing. And of course, 3D printing is going to space with the International Space Station and beyond. Want to support CosmoQuest? Here are specific ways you can help: * Donate and challenge your friends to donate too! https://tiltify.com/+cosmoquest-supporters/hangoutathon2018 * Donate! (Streamlabs link) https://streamlabs.com/cosmoquestx * Buy stuff from our Redbubble https://www.redbubble.com/people/cosmoquestx * Volunteer for our Hangout-a-thon either to promote, provide a giveaway, or to come on as a guest https://goo.gl/forms/XSm1yi0PKOM166m12 * Help us find sponsors by sharing our program and fundraising efforts through your networks * Become a Patreon of Astronomy Cast https://www.patreon.com/astronomycast * Sponsor 365 Days of Astronomy http://bit.ly/sponsor365DoA * A combination of the above! Join +Fraser Cain and +Pamela Gay for a live episode of Astronomy Cast. We'll record our 30-minute show, and then stay tuned for them to answer questions! We did it, we made it to the end of another year. Once again it's time to wonder what gifts to get your beloved space nerds. We've got some suggestions. Some are brand new this year, others are classics that we just can't help but continue to suggest. Let's get into it. Want to support CosmoQuest? Here are specific ways you can help: Donate! (Streamlabs link) https://streamlabs.com/cosmoquestx Buy stuff from our Redbubble https://www.redbubble.com/people/cosmoquestx Volunteer for our Hangout-a-thon either to promote, provide a giveaway, or to come on as a guest https://goo.gl/forms/XSm1yi0PKOM166m12 Help us find sponsors by sharing our program and fundraising efforts through your networks Become a Patreon of Astronomy Cast https://www.patreon.com/astronomycast Sponsor 365 Days of Astronomy http://bit.ly/sponsor365DoA A combination of the above! Join +Fraser Cain and +Pamela Gay for a live episode of Astronomy Cast. We'll record our 30-minute show, and then stay tuned for them to answer questions! Ion engines are a mainstay of science fiction, featured in both Star Trek and Wars. But this is a very real technology, successfully used on several missions out there in the Solar System right now. How do they work and what are the limits? Did you hear that astronomers from Harvard think that the interstellar asteroid Oumuamua was actually an alien solar sail? Is it aliens? Of course it's not aliens. But some day, it'll actually be aliens. Fraser Cain and Pamela Gay recorded this together without a live video. So this episode, we only have audio. But check out our channel for our normal Astronomy Cast episodes, live on Fridays! Join +Fraser Cain and +Pamela Gay for a live episode of Astronomy Cast. We'll record our 30-minute show, and then stay tuned for them to answer questions! We're always interested in the surface features of the planets and moons in the Solar System, but that's only skin deep. It turns out, these worlds have an interesting inner life too. Thanks to the science of seismology, we can peer into our planet and learn how it works... inside. And we're about to take that technology to Mars. Join +Fraser Cain and +Pamela Gay for a live episode of Astronomy Cast. We'll record our 30-minute show, and then stay tuned for them to answer questions! To really study something, you want to reach out and touch it. But what can you do if you're separated by a huge distance? You reach out with electromagnetic or sound waves and watch how they bounce back. Thanks to radar, sonar and lidar. How do you know what something is made of if you can't reach out and touch it? How do we know what planets lights years away have in their atmosphere? What about the rocks all around Curiosity? Or the geysers coming out of Europa and Enceladus? Scientists have a few handy tricks. Join +Fraser Cain and +Pamela Gay for a live episode of Astronomy Cast. We'll record our 30-minute show, and then stay tuned for them to answer questions! Join +Fraser Cain and +Pamela Gay for a live episode of Astronomy Cast. We'll record our 30-minute show, and then stay tuned for them to answer questions! We're not learning that the vast majority of potentially habitable worlds out there are actually icy moons like Europa and Enceladus. Good news, there are hundreds, if not thousands of times more of them than worlds like Earth. Bad news, they're locked in ice. What have we learned about water worlds and their potential for habitability? Astronomy Cast Ep. 500: Live Celebration! Join +Fraser Cain and +Pamela Gay for a live episode of Astronomy Cast. We'll record our 30-minute show, and then stay tuned for them to answer questions! Welcome to episode 500 of Astronomy Cast. To celebrate this momentous occasion, we're going to look back 500 years into the past to see what we learned about the Universe. And then we're going to look 500 years into the future. Astronomy Cast celebrated their 500th episode on Sept 15-16, 2018. We broadcast from our celebration, in front of a live audience! And we debuted our new theme music by composer, fan and friend David Joseph Wesley! Join +Fraser Cain and +Pamela Gay for a live episode of Astronomy Cast. We'll record our 30-minute show, and then stay tuned for them to answer questions! We're celebrating over 11 years of Astronomy Cast with this special recording of our 500th episode in front of a live audience in Edwardsville, IL - home of CosmoQuest! Join +Fraser Cain and +Pamela Gay for a live episode of Astronomy Cast. We'll record our 30-minute show, and then stay tuned for them to answer questions! We started out Astronomy Cast with the controversal decision to de-planet Pluto. And here we are, more than a decade later, at the brink of recording our 500th episode when another big decision is coming down from the IAU: whose name goes on the concept that our Universe is expanding: Hubble or Lemaître ? It's a big deal and Pamela knows all about it. Join +Fraser Cain and +Pamela Gay for a live episode of Astronomy Cast. We'll record our 30-minute show, and then stay tuned for them to answer questions! The Milky Way has gobbled up dozens of dwarf galaxies and added them to its structure. Today we're going to look at the ongoing hunt for the wreckage of past mergers. And what we've discovered about dwarf galaxies in general. Join +Fraser Cain and +Pamela Gay for a live episode of Astronomy Cast. We'll record our 30-minute show, and then stay tuned for them to answer questions! Is it globular clusters or is it globeular clusters? It doesn't matter, they're awesome and we're here to update you on them. Join +Fraser Cain and +Pamela Gay for a live episode of Astronomy Cast. We'll record our 30-minute show, and then stay tuned for them to answer questions! Our knowledge of space is starting to match up with our ability to get out there an explore it. There are several companies working on missions and techniques to harvest minerals from asteroids. What other resources are out there that we can use? Join +Fraser Cain and +Pamela Gay for a live episode of Astronomy Cast. We'll record our 30-minute show, and then stay tuned for them to answer questions! If there's one place we've learned more about in the last 10 years, it's Mars. Thanks to all those rovers, orbiters, landers which are flying overhead, crawling around the surface, and digging into the rich Martian regolith. What have we learned about Elon Musk's future home? Join +Fraser Cain and +Pamela Gay for a live episode of Astronomy Cast. We'll record our 30-minute show, and then stay tuned for them to answer questions! Finally, a big update. Have there been news in the realm of exoplanets? More news that we can possibly cover. But we'll try our best. Join +Fraser Cain and +Pamela Gay for a live episode of Astronomy Cast. We'll record our 30-minute show, and then stay tuned for them to answer questions! Join +Fraser Cain and +Pamela Gay for a live episode of Astronomy Cast. We'll record our 30-minute show, and then stay tuned for them to answer questions! Another update episode, this time we look at what's new and changed in the research of black holes. And it's here that we find a lot of substantial new discoveries in the field, so much has been discovered since we first covered black holes a decade ago. Join +Fraser Cain and +Pamela Gay for a live episode of Astronomy Cast. We'll record our 30-minute show, and then stay tuned for them to answer questions! The updates continue. Last week we talked about dark matter, and this week we continue with its partner dark energy. Of course, they're not really partners, unless you consider mysteriousness to be an attribute. Dark energy, that force that's accelerating the expansion of the Universe. What have we learned? Join +Fraser Cain and +Pamela Gay for a live episode of Astronomy Cast. We'll record our 30-minute show, and then stay tuned for them to answer questions! It's time for a news update. This time from the field of particle physics. It turns out there have been all kinds of new and interesting particles discovered by the Large Hadron Collider and others. Let's get an update from Pamela. Join +Fraser Cain and +Pamela Gay for a live episode of Astronomy Cast. We'll record our 30-minute show, and then stay tuned for them to answer questions! It's one thing to get to space. But once you've made it there, what do you want to do? You'll probably want to dock with another space ship, deliver cargo, refuel. Today we'll talk about how all that happens. Join +Fraser Cain and +Pamela Gay for a live episode of Astronomy Cast. We'll record our 30-minute show, and then stay tuned for them to answer questions! If you want to get around in the Solar System, you'll want to take advantage of natural gravitational speed boosts and transfer orbits. Whether you're heading to the outer Solar System or you want to visit the Sun itself, the planets themselves can help you in your journey. Join +Fraser Cain and +Pamela Gay for a live episode of Astronomy Cast. We'll record our 30-minute show, and then stay tuned for them to answer questions! It's one thing to get from Earth to space, but sometimes you want to do the opposite. You want to get into orbit or touch down gently on the surface of a planet and explore it. How do spacecraft stop? And what does that even mean when everything is orbiting? Join +Fraser Cain and +Pamela Gay for a live episode of Astronomy Cast. We'll record our 30-minute show, and then stay tuned for them to answer questions! Getting to space is all about rockets, but people are trying to figure out other methods that could carry payloads to orbit and beyond. Railguns, airplanes, tethers and more. Today we'll talk about alternative methods of spaceflight. Join +Fraser Cain and +Pamela Gay for a live episode of Astronomy Cast. We'll record our 30-minute show, and then stay tuned for them to answer questions! We've seen rockets blast off from here on Earth. But that's only half the story. Rockets have additional stages to push them into trajectories, like transfer orbits and various orbital maneuvers. Let's talk about what happens after the rocket is long gone, beyond our sight. Join +Fraser Cain and +Pamela Gay for a live episode of Astronomy Cast. We'll record our 30-minute show, and then stay tuned for them to answer questions! The vast majority of rockets are multi-staged affairs. Why is this? What makes this kind of rocket so successful? Today we look at the ins and outs of multi-stage rockets. Astronomy Cast 479: Rockets pt. 1 - What Does "Single Stage To Orbit" Really Mean? Join +Fraser Cain and +Pamela Gay for a live episode of Astronomy Cast. We'll record our 30-minute show, and then stay tuned for them to answer questions! To celebrate the launch of the Falcon Heavy, we figured it was time for an all new series, this time on the rockets that carry us to space. Today we're going to talk about why single stage to orbit rockets are so difficult to carry out.